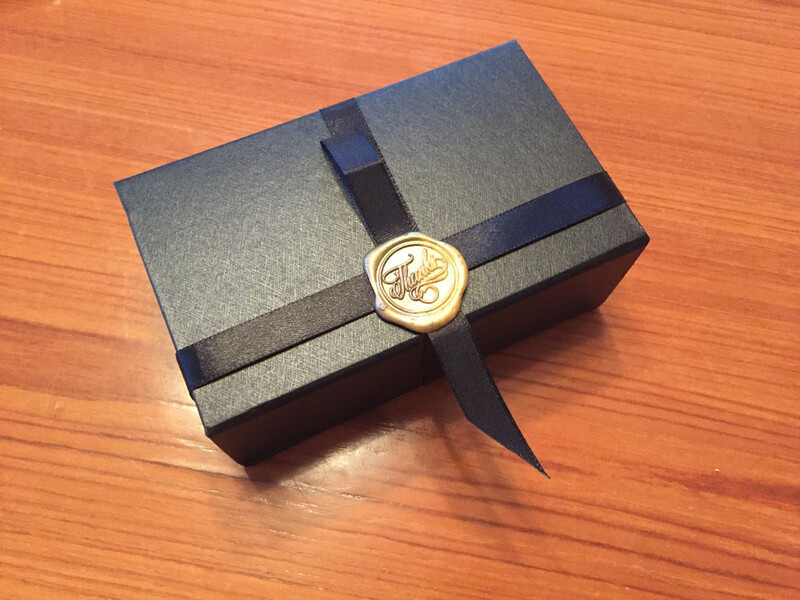 I received this beauty via UPS yesterday from Leonidam in Venice. The model is called the "Juggernaut" and I had a 2-band 26mm fan knot with gel tips installed. Really has an awesome feel in the hand. Can't wait to give it a go. 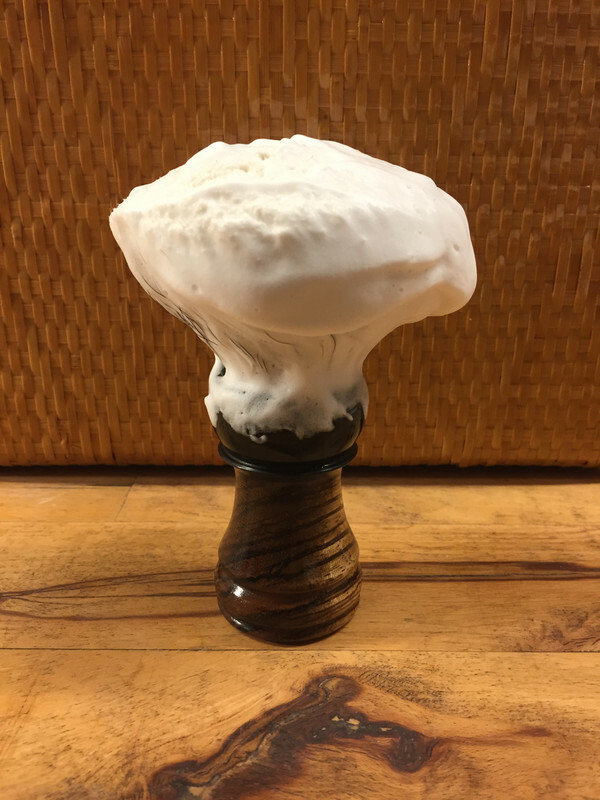 For those interested in checking out Leonidam, Davide has a store on Etsy. He is due to add new brushes fairly soon I think. That's a beauty of a brush! That handle is stunning. 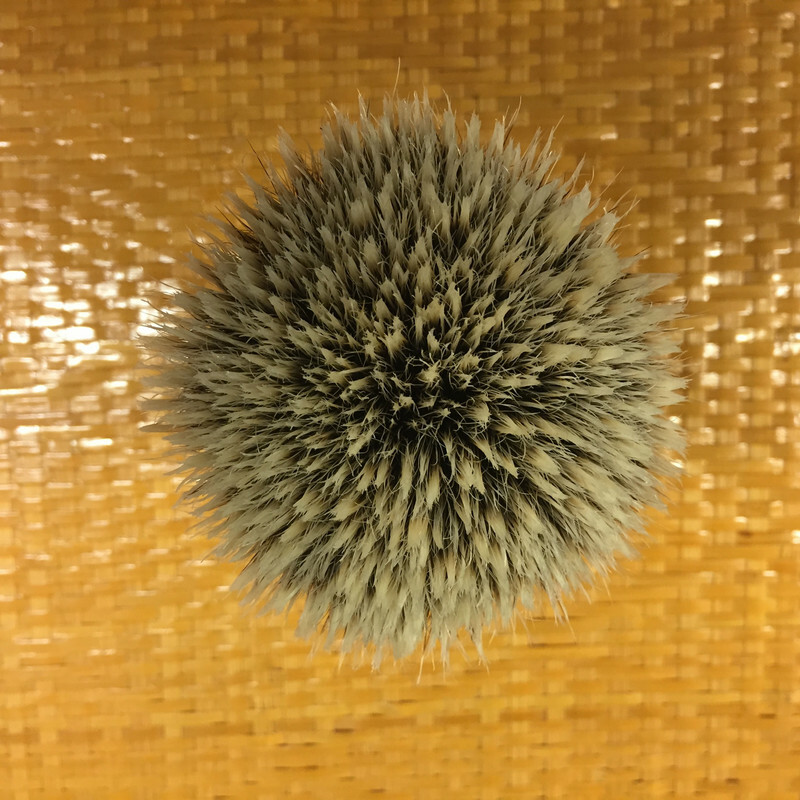 That is a beautiful brush. I was not familiar with this artisan. Thank you for bringing him to our attention. 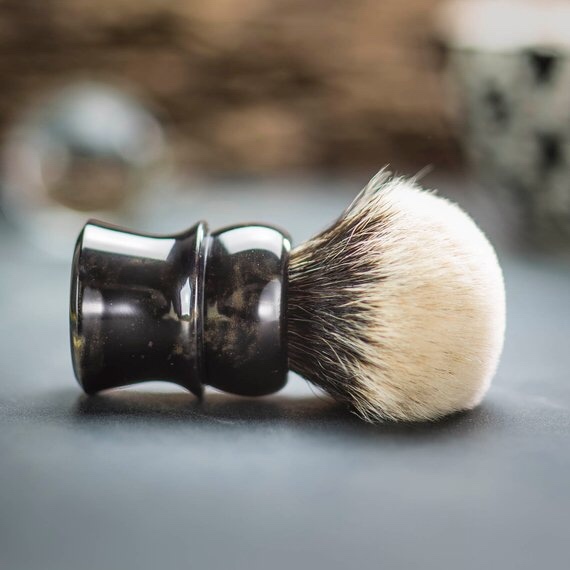 Beautiful brush. Thanks for sharing. Nice to see an Europe based artisan. Thanks for sharing. I also had not heard of the maker. Looks like a very nice handle and knot. He has a couple of resin brushes available. Beautiful! Please let us know how it works out! (02-05-2019, 03:21 PM)Puma Wrote: He has a couple of resin brushes available. 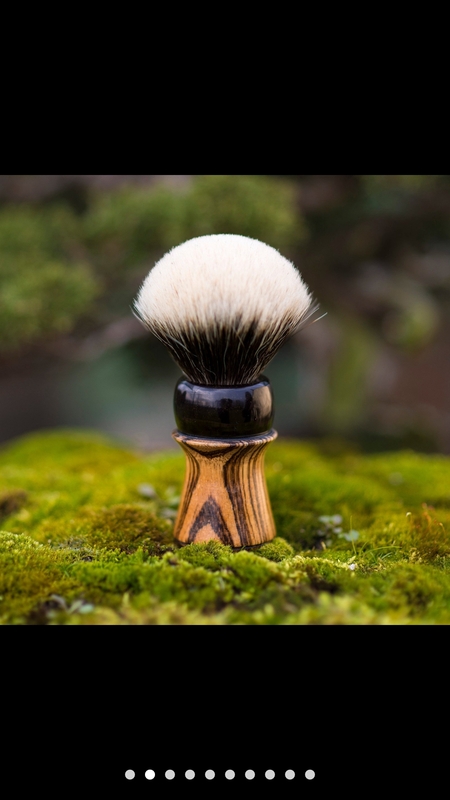 He is also having a brush drop this Saturday at 20:00 CET (Central European Time) or 2 PM EST. His Instagram has some previews plus some of his past creations. I second the praise for these brushes. I got the below a few weeks ago and it’s great. Mine is an “oblivion” handle with a two band gel tip knot—which is very nice—very soft, good backbone, and nice flow through. I must also commend him on his excellent communication and attention to detail. Really the experience you should get when buying high end items like these. 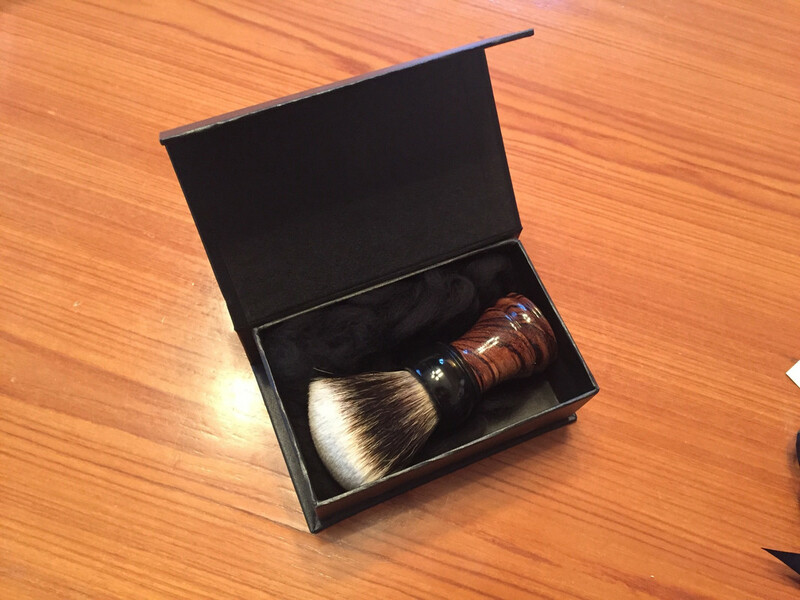 I have attached a picture of the box because it certainly worth mentioning and the best I’ve seen yet from any brush maker, large or small. 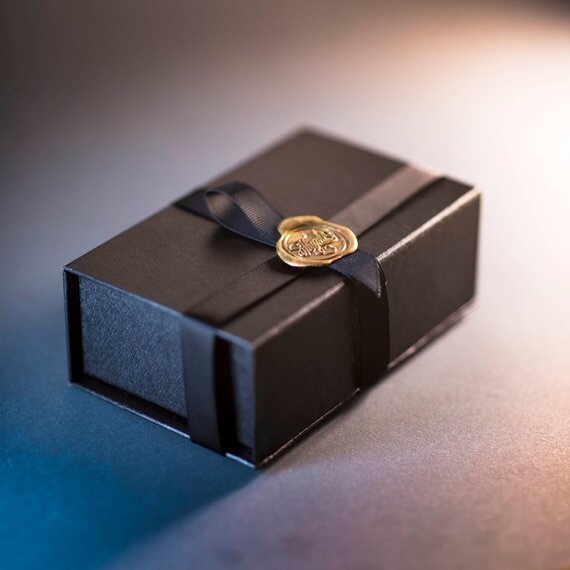 For me, packaging and presentation matter. Also I got the brush stateside at my door in something like 4 days. 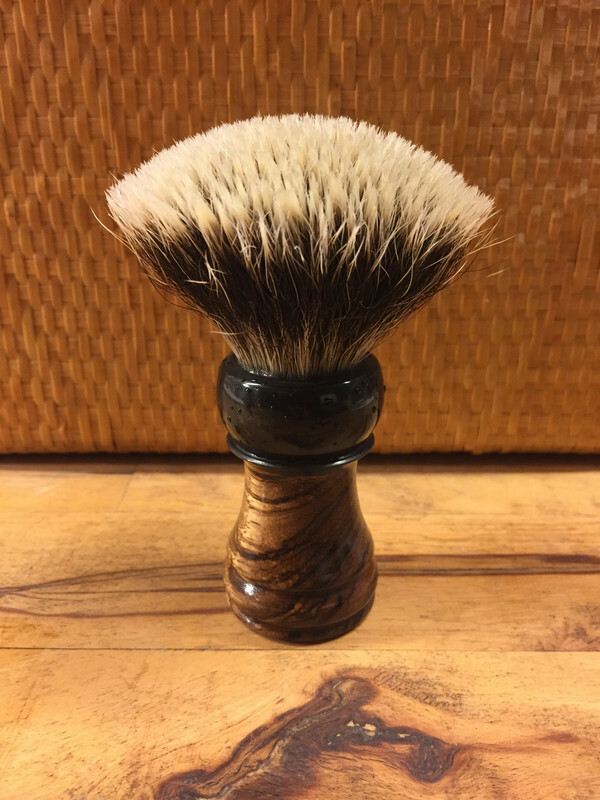 I just had my first run with my brush tonight and, wow, what a power combo of incredible handle and luxurious knot. Handle is so incredibly comfortable in the hand. I baptized it with some Ariana & Evans Asian Plum and was very impressed by how fast the lather was built. Even though it's a dense knot, I agree with @Manning on the flow through. Not a lather hog in the least. 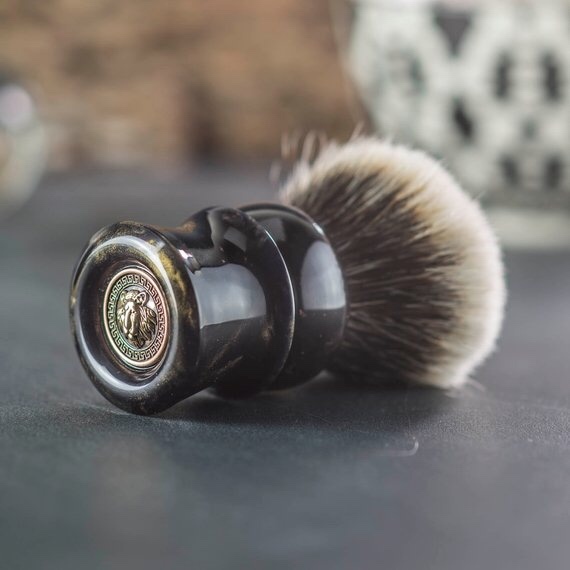 Overall, exceptional shaving experience. I couldn't be more pleased with my purchase. 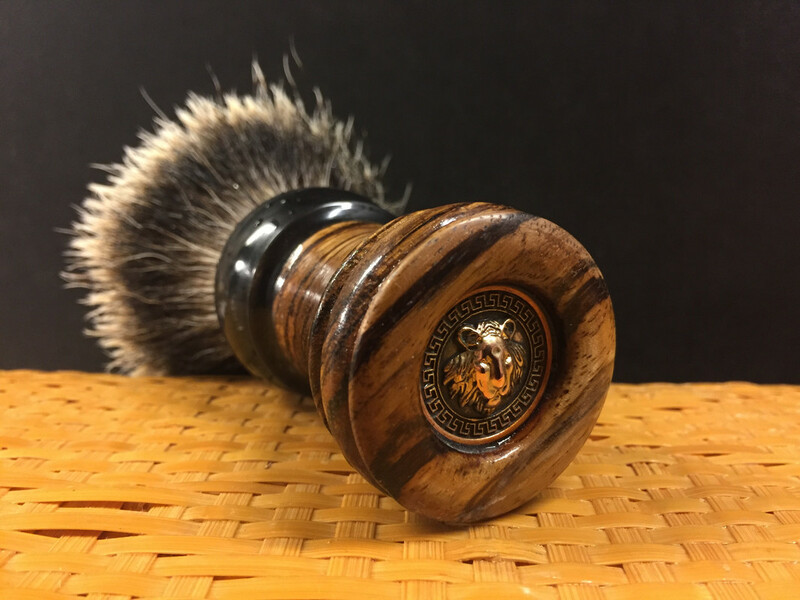 Last Saturday, I have bought a shaving brush called “Venator” during the latest release from Venice based artisan Leonidam on Etsy. 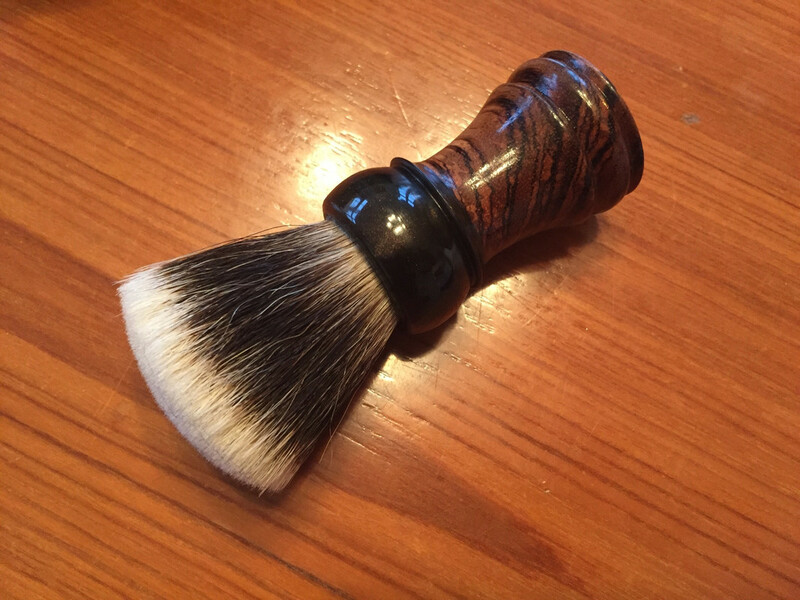 Today the brush arrived with UPS in Copenhagen. 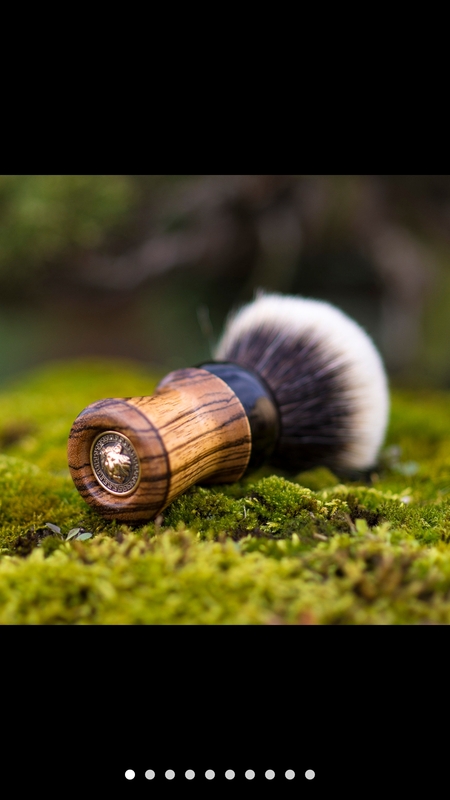 Venator, which means hunter in latin, features a 2-piece Handle made of Zebrano wood with a ferrule of resin. I went with a 28 mm fan shaped 2-Band HD knot with Gel Tips. 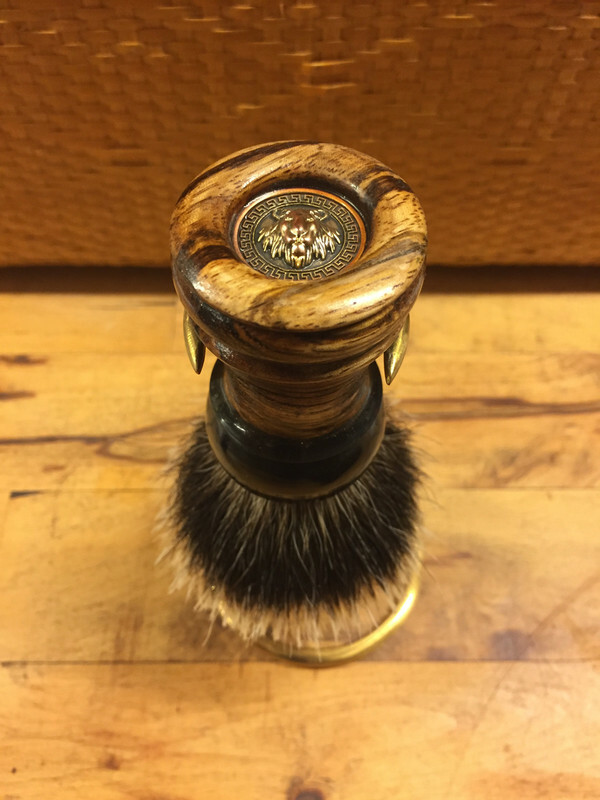 Here some pictures of the brush during unboxing and a first hand lather with Saponificio Varesino 70th after cleaning the knot. How do his "HD Gel tips" feel? How's the knot density? 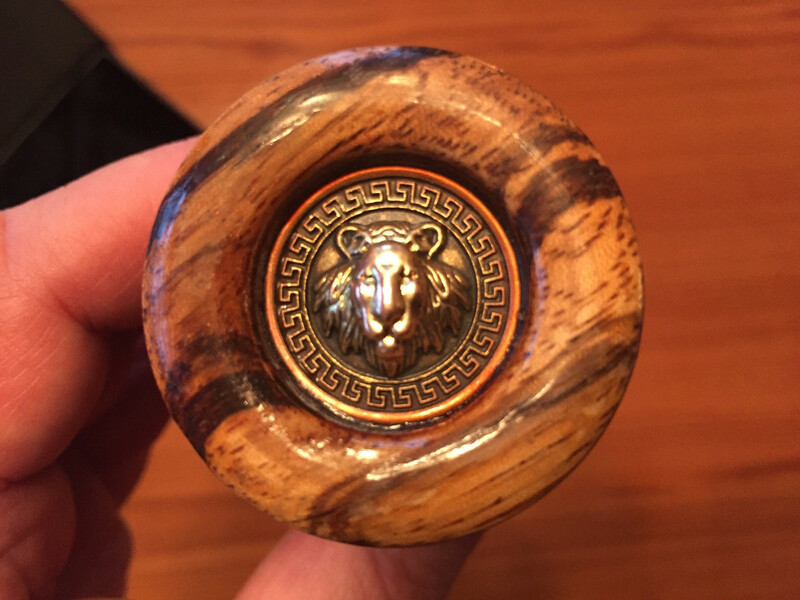 Handle is beautiful. (02-14-2019, 01:04 PM)Tonality Wrote: How do his "HD Gel tips" feel? How's the knot density? Handle is beautiful. I have just hand lathered this brush. Knot is packed quite dense. Gel tips become extremy soft when brush is wet. When dry, the tips are stiff, amost hard. Spontanious, this knot reminds me to Shavenac Unique knots and the knots used in Saponificio Varesino brushes. 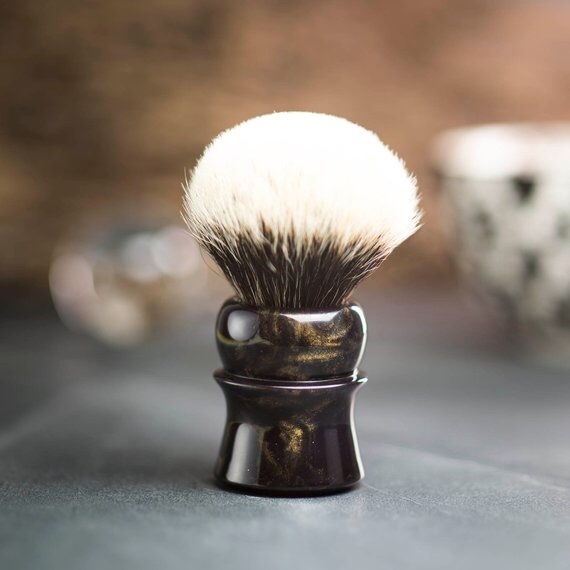 Well I don't need another brush...but I do want one of these. Thanks for the info, I'm following this vendor, I'm sure at some point I'll see something that says "buy me"!